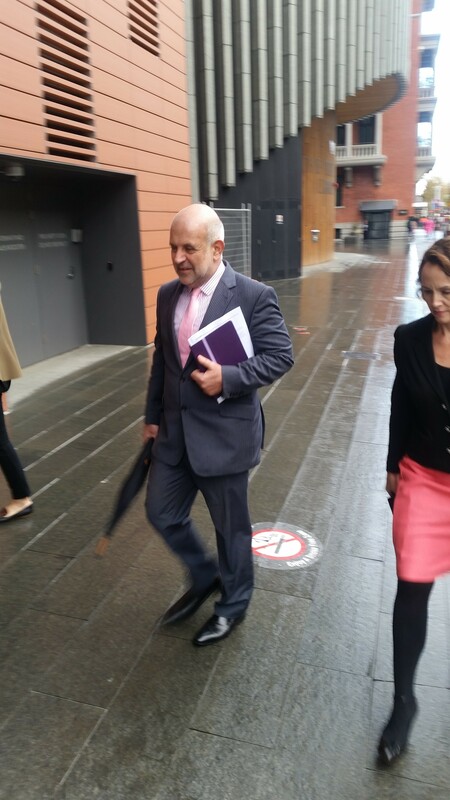 PERTH Lord Mayor Lisa Scaffidi’s penalty hearing continued this morning at the State Administrative Tribunal, with lawyers acting for the Department of Local Government calling for a six-month suspension and her lawyer Steven Penglis arguing for a suspended penalty. 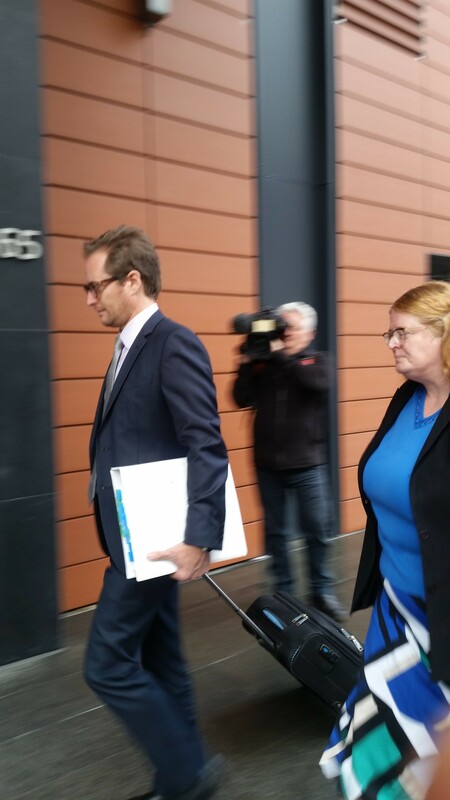 Acting for the Department of Local Government, Carolyn Thatcher said Ms Scaffidi had demonstrated little remorse for the breaches and had refused to take responsibility. “This is a person who blames other people, who makes excuses,” she said, noting the Lord Mayor had contested 40 of the 45 breaches and now had an appeal underway in the Supreme Court. Ms Thatcher argued for an immediate suspension and dismissed the use of the Salim Mehajer case at the NSW Court of Appeal in 2014, noting that Mr Mehajer was a councillor at a suburban council, not the Lord Mayor of the City of Sydney. She also said Mr Mehajer took responsibility for his failure to declare certain items on the council’s register of pecuniary interests in 2012 and 2013, and that there were fewer breaches in his case. Ms Thatcher said while the Department of Local Government sought a six-month suspension it was ultimately the Tribunal’s decision to decide if that was adequate. She said the Lord Mayor denied awareness of third party contributions to travel, but “in numerous cases sought third party contributions”. “The Tribunal is not looking at a respondent who has demonstrated insight into her wrongdoings; does not demonstrate that she will not do it again,” Ms Thatcher said. The State Solicitors Office lawyer said Ms Scaffidi had been careless in the proceedings, with inconsistencies between her June 7 and June 12 statements, and showed no regard for the seriousness of the issues before the Tribunal. “She has learned nothing,” Ms Thatcher said. “Then Local Government Act describes the duties of a mayor… to provide leadership to the community. The Lord Mayor of Perth is in a unique position… requirement of leadership was heightened,” she said, citing US President Harry Truman: “the buck stops here”. Mr Penglis began a lengthy submission by disputing Ms Thatcher’s suggestion Ms Scaffidi was not fit to continue as Lord Mayor. He then claimed the counsel for the Department had argued the Tribunal should impose a more severe penalty than had been requested. Mr Penglis claimed the Tribunal could only impose the penalty requested or something less severe, an argument dismissed by Justice Jeremy Curthoys. “The Tribunal’s discretion is unfettered,” he said. Mr Penglis said the Lord Mayor had not acted surreptitiously. However, the Corruption and Crime Commission (CCC) found in its report handed down October 10, 2015, that the Lord Mayor deliberately failed to disclose the Beijing Olympics hospitality package she received from BHP-Billiton – one of the breaches Ms Scaffidi did not seek to dispute. Mr Penglis said in the absence of fines under the Act, “jumping” to a suspension would be too severe, and that a suspended order – suspending the suspension either partially or in total – would be appropriate. He said the offences were “at the lower end of the scale” in terms of suspensions, and three months rather than six was fitting, and posited it should be suspended, only taking affect if Ms Scaffidi committed another breach. Mr Penglis said an immediate suspension was not necessary to restore public confidence, noting that the Lord Mayor had been elected after the matter became public. However, 65 per cent of ballots in the most recent Lord Mayoral election were cast before CCC’s report was made public in October 2015. Mr Penglis said there was nothing to suggest the Lord Mayor would reoffend, and that in the three years since the last breach there had been no subsequent offence. He reiterated his argument that Ms Scaffidi did not deliberately omit items from her annual returns. The maximum penalty available under the act is a five-year disqualification from office. The hearing adjourned at lunch before returning at 2.15pm. Justice Curthoys declined to nominate a date on which the Tribunal’s final decision will come down.